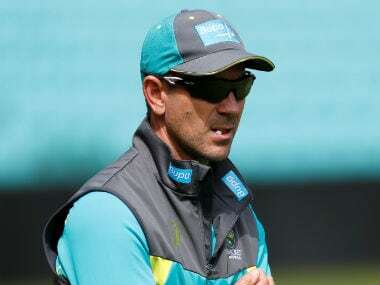 In the only warm-up match versus India A, ahead of the Test series, Australia chose to bench Usman Khawaja and include Shaun Marsh in the middle-order. Many news outlets deduced that this was a sure sign that Khawaja, despite a resplendent home summer, will not be in the Australian XI to take on India at Pune in the first Test of the four-match series in a few days. A son of Pakistani immigrants, who grew up in Sydney, it was a dream come true for Khawaja as he made his Test debut on his home ground during the last Test of the wretched 2010-11 Ashes. His debut was eagerly-awaited for reasons cricketing and social, given that he was the first Muslim player to don the baggy green. It saw him make a stylish 37 and 21 in an innings defeat. In the six years hence, he has appeared in 23 Tests, averaging nearly 48 and notching up five centuries, including three on the trot during the 2015 home summer against neighbours New Zealand and the hopeless West Indies. Will Usman Khawaja be selected in Australia's first eleven for the Test series against India? While most of the Australian batsmen struggled against South Africa in the 2016 summer, Khawaja collected two fifties at Perth and Hobart, in vain, and a magnificent 145 at Adelaide that set up a consolation victory, and turned around the rest of the summer for Australia. He averaged nearly 67 runs per innings in the following series, against the country of his birth, and yet, faces the axe in the very next Test match! Khawaja in his short career has played four Tests in the subcontinent, all of them in Sri Lanka. He was part of the squad that toured India in 2013, but did not appear in any of the Tests and was one of the four players suspended during homeworkgate. He averages under 20 in the subcontinent with a highest of 26 runs. In his career, he has been dismissed 11 times (in 36 innings) by the spinners, falling victim to England's Graeme Swann the most, followed by thrice to Sri Lanka's Dilruwan Perera, and once each to Pakistan's Yasir Shah, Sri Lanka's Rangana Herath, England's Joe Root and New Zealand's Kane Williamson. Certainly, having grown up in Australia, and like his countrymen, he prefers facing the pacers. It is also true that he seems to have not enjoyed his time facing off-spinners. But these were known before Australia decided to include him in the squad to India. It was already known that they will have to face a fair bit of spin bowling, and will have to front up to Ravichandran Ashwin, the number one-ranked bowler in the world in his home conditions. Last year in Sri Lanka, Khawaja was dropped after the first two Tests at Pallekele and Galle, even though no one in the line-up scored a fifty except skipper Steve Smith. 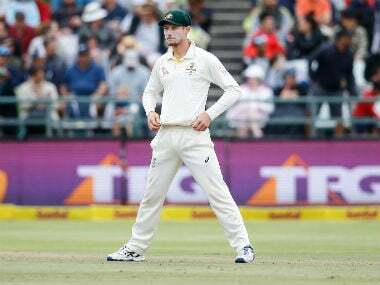 He did not hide his disappointment and called the decision by the selectors “fickle” and believed that he and his fellow Queenslander Joe Burns were made “scapegoats”. Shaun Marsh was brought in to replace Burns as the opener, and promptly scored a hundred. On the other hand, all-rounder Moises Henriques was included for the third Test in Colombo. Henriques failed in both innings – scoring four runs in each and sending down a total of only two overs. All the while, Shaun Marsh's brother Mitchell featured in all three Tests, averaging 27 with the bat and picking just two wickets. Considering all this, there is a grain of truth to Khawaja's sentiment about being made the scapegoat. 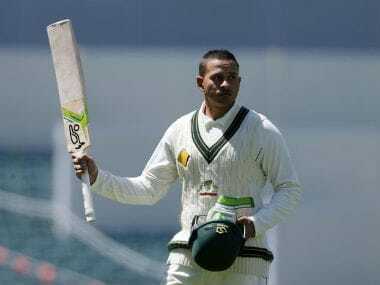 Having been recalled after the Sri Lankan disappointment, Khawaja plundered 581 runs at home against South Africa and Pakistan, and also scored two hundreds in Shield cricket for Queensland. 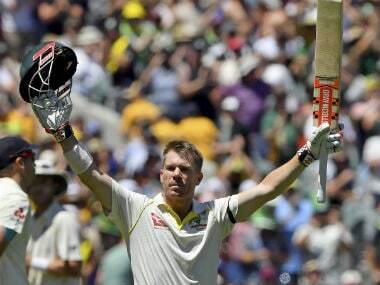 He is a batsman in form, and arguably, the third best batsman in the side after Smith and David Warner. While Khawaja had a glorious summer, Shaun Marsh was rested after the first Test against South Africa at Perth following a finger injury. It is Matt Renshaw who has taken the opening slot from Shaun Marsh, and is making it his own, and it appears that the Australian selectors and team management are keen on finding a spot for the great “talent”, and so it seems Khawaja will have to make way. It is important to note that while Shaun Marsh has had success in Sri Lanka, he is yet to play a Test in India, just like Khawaja. As I have mentioned elsewhere, if coach Darren Lehmann's boys are so desperate to include Shaun Marsh in the side, it must come at the cost of his brother Mitchell, than anyone else. If indeed Khawaja does not find a spot in the playing XI for the first Test, it would be a case of Australia choosing to bench him without giving him a chance to fail, and hence it would be quite unfair. It would mean they never really had any confidence in Khawaja's ability to negotiate spin bowling. Which then would beg the question: why bring him along at all? Khawaja's runs in the home season have earned him a deserved opportunity at least for the first Test at Pune for him to sink or swim.